“The strategic alliance between Quest Integrity and Metegrity adds a strategic and complementary feature to Quest Integrity’s global advanced engineering solution set. As a leader in sophisticated mechanical integrity software platforms, Metegrity is well known as a technological pioneer of customizable risk mitigation software tools. Specifically designed to improve operations and extend critical equipment life, Metegrity’s Visions Enterprise software is perfectly suited for clients currently using RMS, furthering our joint commitment to optimal asset performance. Utilizing Metegrity’s Visions Enterprise software in conjunction with Quest Integrity’s advanced engineering assessment services, operators receive powerful solutions for managing their critical equipment,” said James Widrig, Manager of Advanced Engineering at Quest Integrity. “We look forward to working with Quest Integrity in order to deliver enhanced software functionality and increased benefits to their clients,” added Heidi Pollack, Marketing Manager for Metegrity. A key element in this strategic alliance is the seamless transition of current RMS users to the Visions Enterprise platform, offering extensive user support throughout the transition process. RMS users will receive the support and dedication of both Quest Integrity and Metegrity to assist in a smooth and effortless transition. 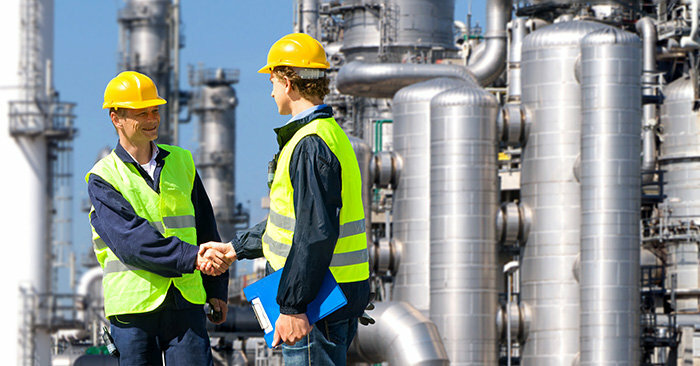 With an eye toward best-in-class services and software, Quest Integrity is pleased to partner with Metegrity, Inc. to provide a dynamic solution set for asset integrity management. Metegrity is a globally trusted provider of comprehensive risk based asset integrity management software, protecting over $550 billion in assets across 850 facilities worldwide. Praised for unparalleled speed of deployment, our products are highly configurable – allowing our experts to strategically tailor them to your AIM business practices. With over 20 years in the industry, we proudly service top tier global organizations in the Oil & Gas, Pipeline, Chemical, and Power Generation industries. For more information, visit www.metegrity.com.